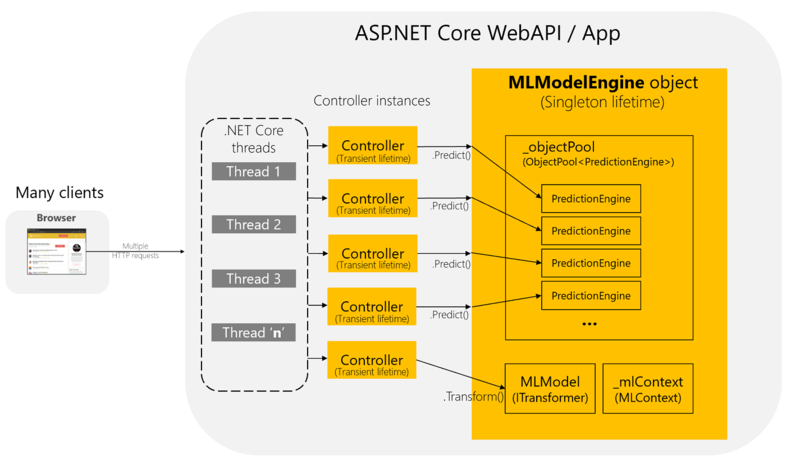 We’re currently evolving the .NET microservices guidance and eShopOnContainers reference application. 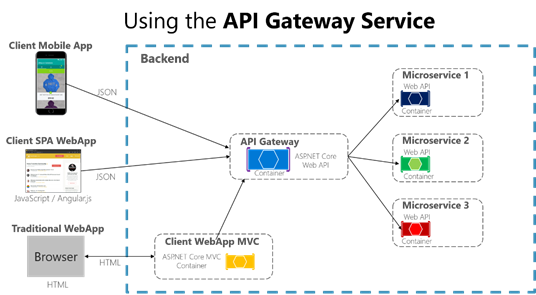 One of the most important topics is about the API Gateway pattern, why it is interesting for many microservice-based applications but also, how you can implement it in a .NET Core based microservice application with a deployment based on Docker containers. 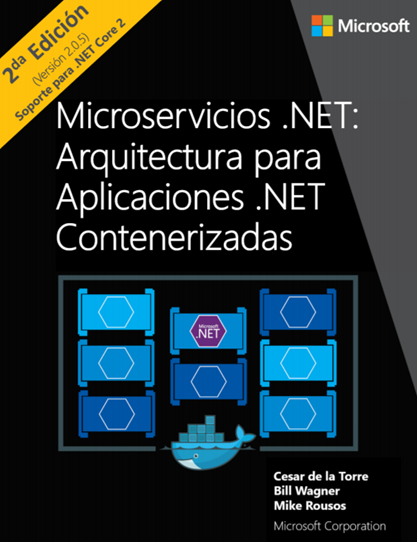 Microsoft eBook gratuito en Español: “Microservicios .NET – Arquitectura para aplicaciones .NET contenerizadas” – Docker, .NET Core, Kubernetes, Service Fabric, Azure. Las arquitecturas basadas en Microservicios están emergiendo actualmente como opciones apropiadas para aplicaciones distribuidas de misión crítica. Background tasks and scheduled jobs are something you might need to implement, eventually, in a microservice based application or in any kind of application. The difference when using a microservices architecture is that you can implement a single microservice process/container for hosting these background tasks so you can scale it down/up as you need or you can even make sure that it runs a single instance of that microservice process/container. Explore DDD 2017 is a brand-new Domain-Driven Design (DDD)-centric conference, September 19-22 2017 at the Grand Hyatt hotel, in downtown Denver, Colorado, USA. This blog post is about comparing several approaches of Domain Events vs. 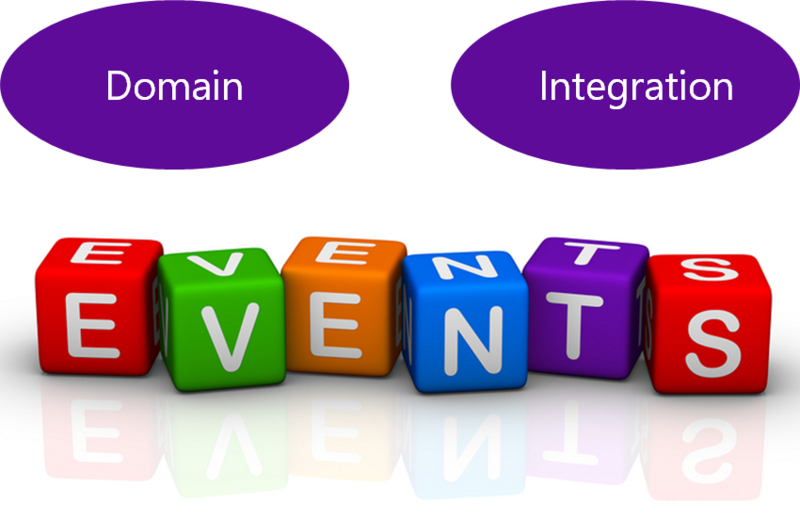 Integration Events patterns already published by the community. I might evolve this post depending on feedback and some implementations we’ll be doing in the short/medium term.